This lesson challenges students to apply their knowledge of object motion by animating sequences of hand-rendered pictures that model a set of physical conditions. The challenges include animating the orbital motion of planets and satellites, the effects of gravity on a falling body, and motions of objects in inertial (moving) frames of reference. The lesson was created by a high school physics teacher to help learners build quantitative reasoning skills in preparation for understanding kinematics. Editor's Note: Modeling is a powerful way for students to relate the math formula to the physical process under study. 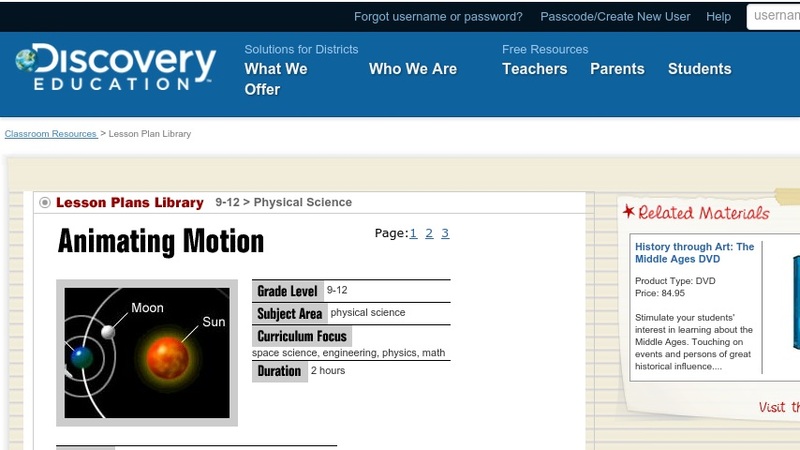 This lesson allows learners to develop hand-crafted "flipbook" models of motion before they advance to computer modeling. In each challenge, data is provided so the animations can be computationally accurate. For a function that models a relationship between two quantities, interpret key features of graphs and tables in terms of the quantities, and sketch graphs showing key features given a verbal description of the relationship.? Calculate and interpret the average rate of change of a function (presented symbolically or as a table) over a specified interval. Estimate the rate of change from a graph. ?